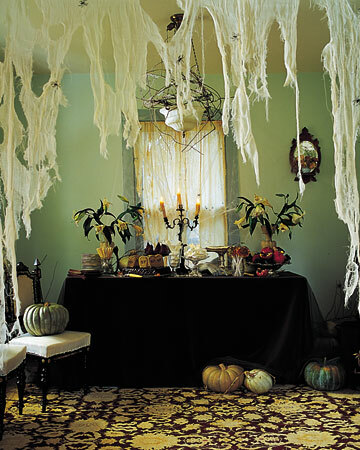 Moth-eaten curtains provide an excellent and creepy Grey Gardens feel to your Halloween! I don’t have these but if you had a lot of space and places to hang items then this could be a great and subtle touch to your haunted house. 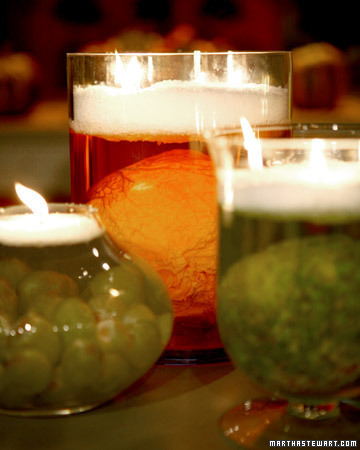 Martha also does a lot of gorgeous candle displays, which are an easy and classy way to set the mood. Very Miss Havisham‘s house. Specimin-Jar Candle. These are so fun and unusual! I really want to make some creepy specimen displays for my party this year. I plan on hitting up one of the local thrift stores for some inexpensive glass vessels. 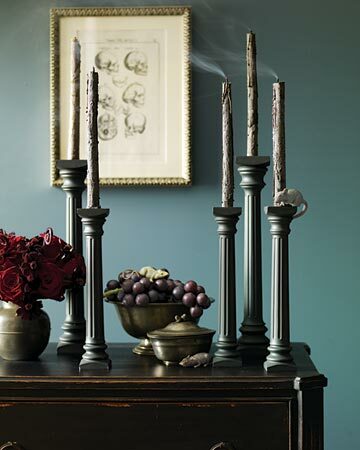 Creepy Candles. They look like they are bleeding! Awesome! I also love that Martha uses flowers on Halloween, which isn’t something that one would ordinarily think to use. Her floral displays are appropriately creepy and could provide a nice surprise to guests. 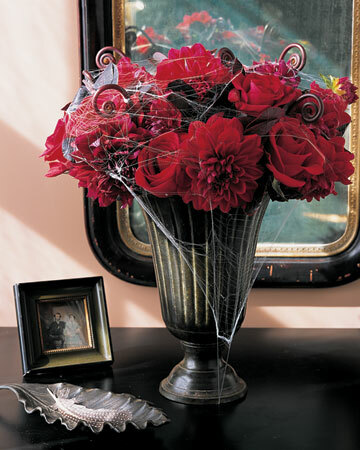 Forbidding Flowers are easy enough to make: silk flowers, some cob webs, a creepy urn, fantastic! 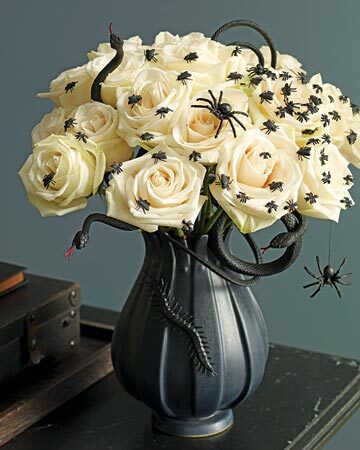 Deranged Halloween Centerpiece, this is really fun and awesome. 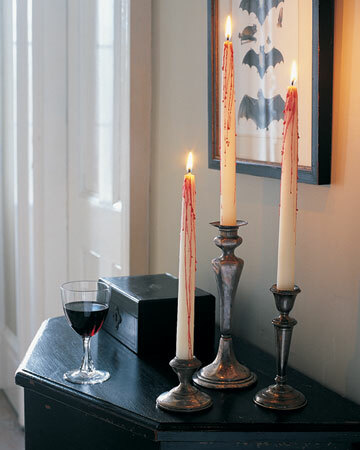 I hope that I’ve inspired you to use some not so scary items as scary, creepy decorations this Halloween! Three weeks! Yeah…but the tops are too tiny to accomplish what I need, which is fitting a whole cauliflower in there and calling it “brains.” Ha.